In your “Must visit places” you should definitely put Maldives in your list. I would say it’s one of most beautiful tropical country with little islands. With all the unique and excellent services by local staff’s, these crystal clear blue lagoons and white sandy beaches are “The Paradise on Earth”. To get the best ideal packages, rates or offers to visit Maldives for your holiday it is obvious that you will be booking by one of the local travel agents. If you are booking through local travel agents it will save you lots of money and will provide you the best services and recommendations from their dedicated staff’s. If you book through online booking engines who are not local travel agents, pretty sure you miss the best of the best services and holiday experiences. Unlike the local agents sometimes when you arrive for your holiday if you need any services during the holiday it is very unlike that you will be getting a prompt reply, where else the local agents living there will be there always for you if you need any services without any hesitations. 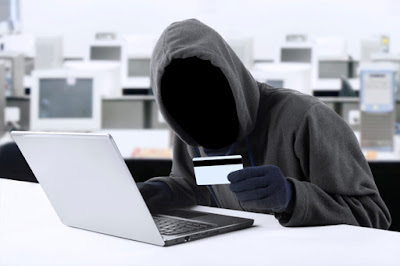 Main topic I really want to talk about is the credit card fraud that is happening nowadays. Here I am going share my personal thoughts and experience that clients face after giving the credit card information’s to local travel agents. Most of the company does not have online credit card processing with bank, they will request you to provide fax, email or send a form to fill and send back to them. All the companies are registered, getting PATA license is very easy and almost all travel agents will have them but make sure the travel agents you are booking does not ask your credit card information’s. As to myself I have second thoughts providing my credit card detail information to another. If the company is well established surely they will have MTBP, PATA, MATATO and they will have online payment gateway where you will enter the credit card information at one of the bank domain with a https url. So you don’t have to worry about your credit card details from travel agents as the details are safe in the bank domain only. Recently BML (Bank of Maldives) the local government bank has started the online payment gateway and they are giving only this option to trusted travel agents and companies in Maldives. I am in Maldives tourism industry since 2005 and my friendly advice is to not to give your credit card information to any travel agents, if the travel agent is so good surly they will have an online payment gateway. If you want me to share my personal experience regarding your trip to Maldives, please just email me asking about it surely I will share with you. Yeah lah, Such a crooked travel agents. Better to book in Agoda or Booking.com or directly with the hotel website can be save more than enough than some one steal your money in credit card. Zeka Virus, What you should know about the Zika?